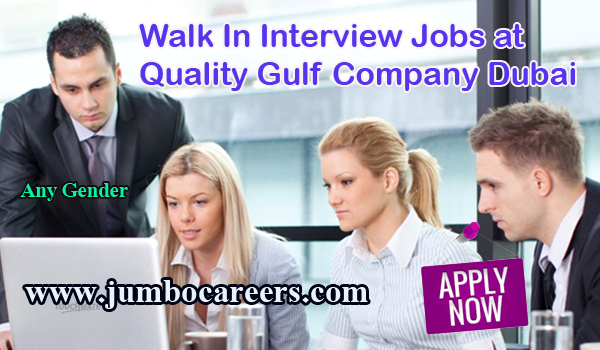 Quality Group of company- Quality Gulf Company Dubai is conducting latest walk In Interview for various positions. Latest Jobs at Quality Group of companies Dubai- Apply Now. For applying, attend the latest walk in interview at below location. Location : Quality Gulf Company LLC, Head Office, Near Dubai Investment Park 2, Close To ENOC, Dubai.